I do love pancake day, or what ever you want to call it, but sometimes it rockets past and you have missed out on the pancake goodness. Horror. 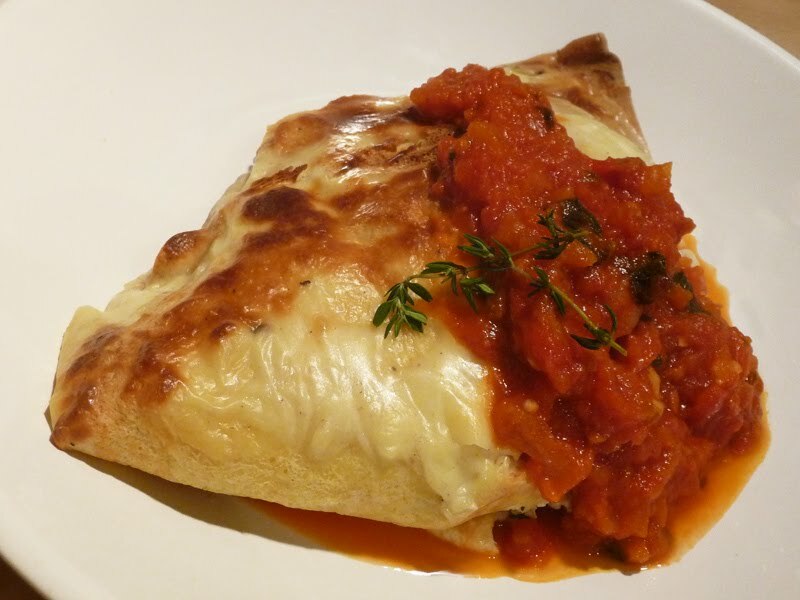 To help get your fill, here are my top Brighton picks as well as a couple of my sweet and savory recipes at the bottom (with an Italian twist), if you are staying at home. L'Eglise will be celebrating "La Chandeleur" as they call it in France, with some crepe lessons. From 3.30 to 5.30pm, children are invited to eat and make their own pancakes on a super-safe portable induction burner for £5 including an orange juice. For the adults, you will be shown how to make a crepe Suzette, also for £5 and cocktails will also be available. Booking is strongly recommended. It wouldn't be an event in the calendar if Boho Gelato didn't come up with a special flavour. 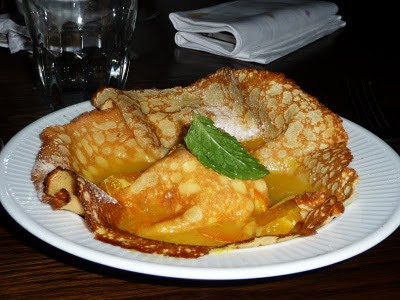 This year sees a classic, the crepe Suzette, incarnated into glorious gelato using oranges, custard and Grand Marnier. Boho, we salute you! Brighton's vegetarian favourite Terre a Terre will be serving a divine sounding pancake filled with lemon and lime curd in caramelised orange syrup, served with yogurt sorbet. The Gingerman Group will be offering a pancake dessert special on their pub boards and £1 from each order will go to the Rockinghorse Appeal. This will hopefully go to a new Children’s Emergency Unit at the Royal Alexandra Children’s Hospital in Brighton, bless them. For breakfast and brunching, Bill's will be offering pancakes with maple syrup or vanilla pod ice cream and fresh fruits from 8am until 5pm. Nia Cafe will have not one, but three options. For savory, the crepes will be served with toasted walnuts, herb and cream cheese, crispy bacon and maple syrup. Yum! For sweet you have the choice of lemon curd, citrus reduction, lemon and lime segments and candied lemon peel or crème fraiche with berry coulis. Cote in town do a really nice crepe with Grand Marnier and oranges on their standard menu which I love (top pic). I've ordered this a few times now! The bright and cheery Giraffe are inviting you to Pimp Your Pancake. Available 8th - 11th March until 5pm get a pile of US style pancakes with 4 toppings of your choice including chocolate chips, vanilla ice cream, blueberry compote, walnuts, chocolate, caramel or berry sauce. Adults can add a dash of the strong stuff for a little extra. Take a picture of your creation and post it to their Facebook page and you could win a meal for 6 people. Alternatively if you are staying in and risking batter on your ceiling you could try my Italian twist for Shrove Tuesday (or Martedí Grasso) with my Baked Crespelle with Celeriac, Pancetta and Thyme or for a sweet version my Sicilian Cannoli Inspired Pancakes with Sweet Ricotta, Orange and Toasted Almonds.